Thread: BORLA Raptor Tech Day at Galpin Auto Sports! 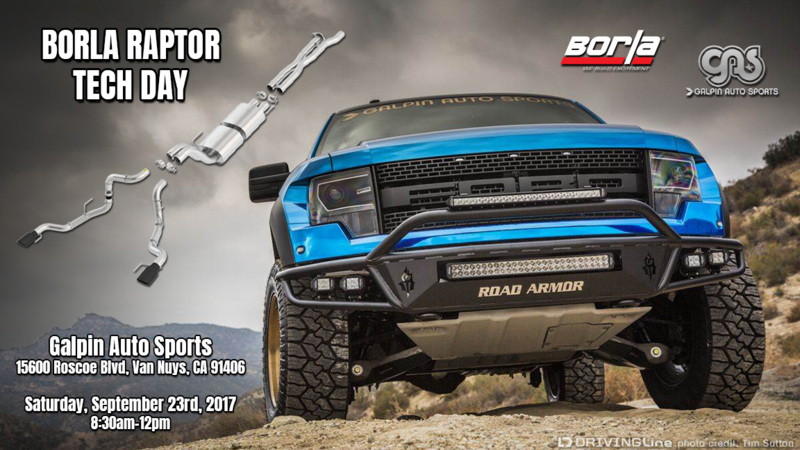 Join BORLA Performance Industries on Saturday, September 23rd for the Raptor Tech Day at Galpin Auto Sports! REGISTER today by emailing [email protected]. Last edited by [email protected]; 09-19-2017 at 10:20 AM.